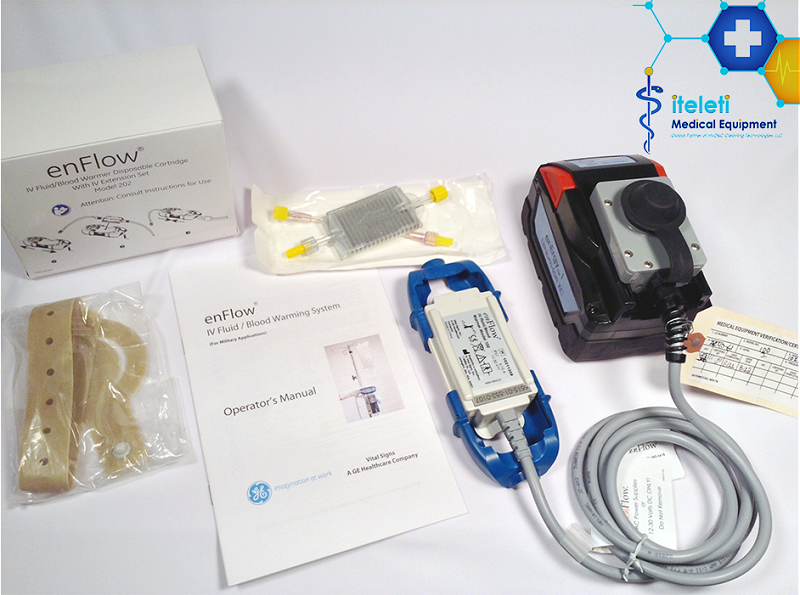 enFlow IV Fluid and Blood Warming System - Iteleti - Shop+Buy=Ship...For All Your Medical Equip! 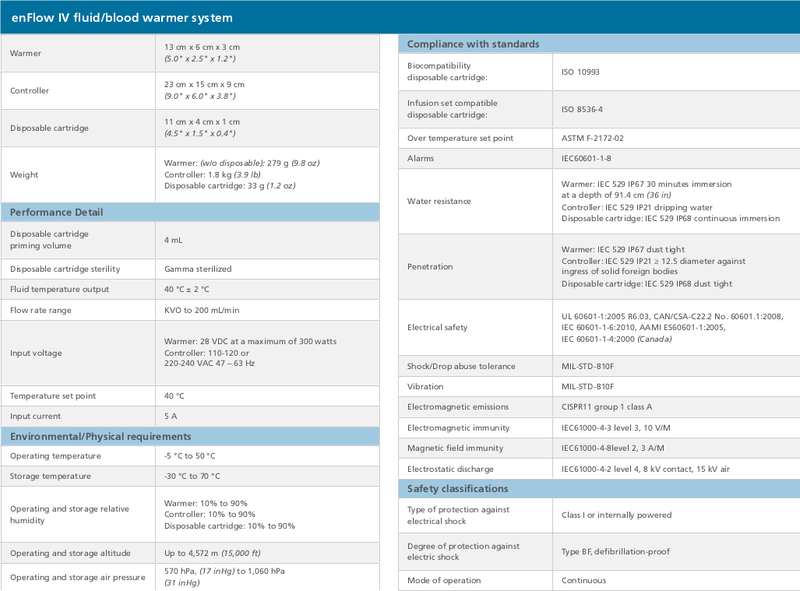 Great for Perioperative, Anesthesia, Labor & Delivery, Emergency Care, EMT/EMS, Intensive Care and Blood Transfusions. The enFlow IV Fluid and Blood Warming System enables warmed infusate delivery at the right time across all clinical areas, right away in less than 18 seconds. Its low priming volume reduces the time needed to reach the temperature set point, thus allowing the warming process to start quickly. Additionally, its close proximity to the patient. With the enFlow fluid warmer, you will always deliver the right temperature-to the right place, at the right time! – Convenience of use and one-button operation. – Requires little preventive maintenance (5 year schedule) and no calibrations. 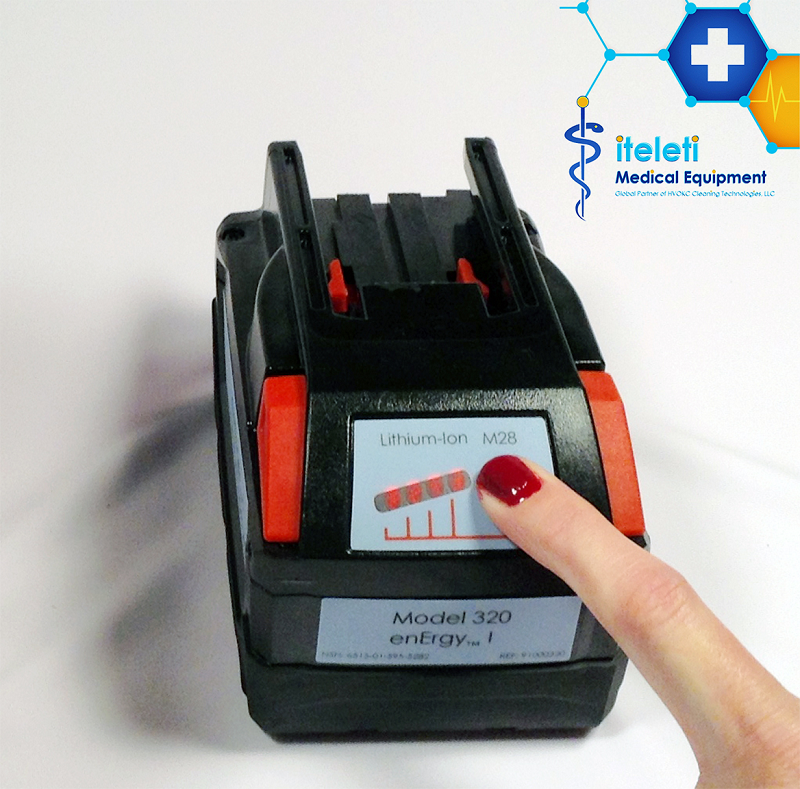 – Warming fluids with accuracy, mobility and speed. – Use before, during or after procedures all while being transported from room to room. – Enables warmed infusate delivery across all clinical areas- right away within seconds! By consistently helping to maintain the right patient body temperature, enFlow fluid warmer can help bring the opportunity for both clinical and economic benefits to your hospital. Maintaining normothermia can help lessen complications and speed up recovery time all while helping to reduce length of patient stays and hospital costs. True system mobility and a small transferable cartridge allow enFlow to help maintain normothermia in the right place throughout all care areas. It can be used before, during and after procedures, in any orientation. And, because its cartridge is easily transported from room to room, enFlow fluid warmer maintains your work flow while saving steps. The enFlow fluid warmer or enFlow IV Fluid and Blood Warming System, rapidly and automatically warms blood, blood products and IV solutions up to 40 °C, helping prevent hypothermia. By warming fluids with accuracy, mobility and speed, the enFlow system can help providers deliver higher-quality care to more patients. • Accuracy – The system automatically warms fluids to 40 ± 2 °C with multiple sensors to ensure fluid temperature accuracy. • Mobility – The small single-patient-use cartridge remains in-line for continuous patient warming, across the care continuum. 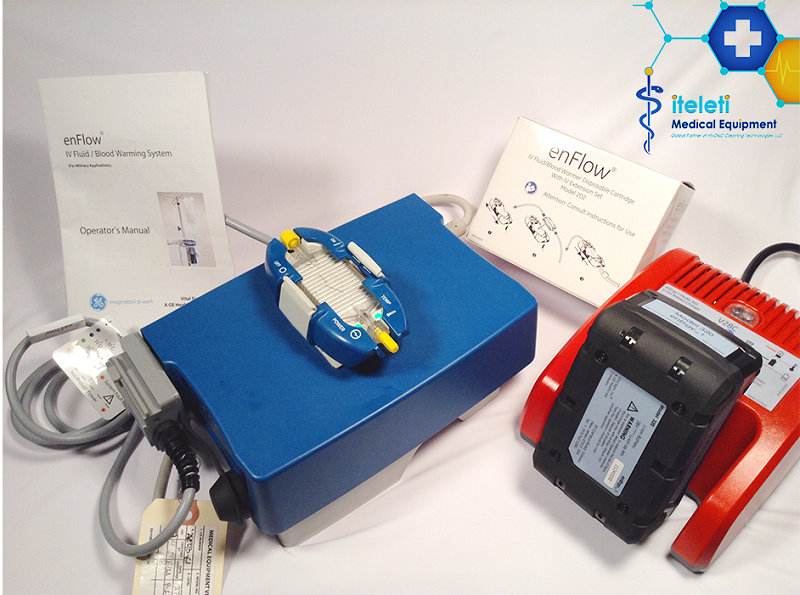 Purchase the enFlow IV Fluid and Blood Warming System from Iteleti on eBay by clicking on the following link to be redirected to our eBay listing.